We do a lot with both tools and batteries. Case in point are our articles on the DeWalt FlexVolt technology and the Milwaukee 9.0 Ah batteries. But what about the battery chargers that resupply energy to these batteries? As it turns out, there are possibly even more differences among battery chargers than the packs themselves. While we don’t think anyone will “jump ship” from one platform to another just because of charger technology, it’s good to know who stands out. For this article, we requested the best battery charger from every major tool manufacturer. Most responded and participated. We then took a close look at each to see how they were made. Following is our evaluation of the best battery chargers for power tools. What Makes the Best Battery Charger? Notice we said WHAT makes the best battery charger, not WHO. 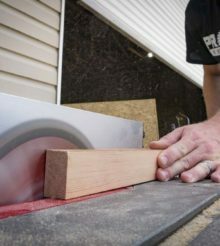 Answering the first question really depends on your needs and how you use your power tools. As you go through this article, realize that we don’t expect anyone will shift their tool platform of choice based on a charger. What we do want to communicate are any standout features for each platform. Some manufacturers have really done something special with their tool battery charger technology. That deserves some recognition. By the end, you should know which charger offers the best benefits for your tool platform. Also, there are chargers that exceed the capabilities of the basic models included with tool kits. Knowing that can decrease your charging time should you choose to purchase a more advanced model. For any Pros and power users wanting to increase productivity, this could rock your world. No lithium-ion battery pack can be recharged until the temperature is down to a safe level. This is an issue as many packs hit the charger immediately after use. If you just completed a high torque/high speed application, that battery pack may not truly start charging for as much as 10-30 minutes. Yes, even though that light is on, your battery is just sitting there. Some manufacturers employ heat sinks and other physical technologies to help dissipate heat in packs. Some of the fastest chargers on the market, however, use fans to pull air through the battery packs. Obviously, the packs need to be designed with venting to facilitate this. Running air over a sealed battery pack doesn’t do much. Consequently, chargers with fans that don’t actually circulate air through a pack aren’t really doing much to speed the charging process. Packs and chargers that use air cooling efficiently include Makita, Metabo, Hitachi, Husqvarna, EGO, and the pending Bosch Eneracer battery packs. Since we do literally hundreds of hands-on power tool reviews each year, having access to every charger was critical. When we started collecting them all, we decided the best way to serve our particular needs was mounting them to a piece of 3/4-inch plywood. On the back of the plywood we mounted two industrial power strips which we connected to two separate 20-amp circuits. This gave us plenty of current for simultaneously recharging multiple packs from different manufacturers. We can’t run them all at once—but we’ve never needed to. In order to mount these charger we did a combination of “tricks”. For some, we actually took them apart and drilled our own keyhole mounting points. This further solidified the fact that a small manufacturing tweak could have added this feature. On others, where the circuitboard was too close, we used a Southwire heavy duty cable tie to secure them to our plywood. One thing we noticed once all the chargers were together was that some were…really annoying. There are, apparently, no standards with respect to LED lights on battery chargers. Some manufacturers decided to initiate solid or blinking lights for no reason at all. Hilti, Ridgid, and Bosch have green lights on at all times (with no battery inserted). This strikes us as backwards, since I want to only see a light when a battery is inserted. Preferably, I’d only see a solid green light when a battery is fully charged. Hitachi decided that a flashing Red light would be a good standard of operation with no battery inserted. When you look at the charger you instantly think something must be wrong…Makita isn’t much better—but at least their flashing light is green. Any variation on blinking speed would be fine, but the above general guidelines would make a whole lot more sense than the hodgepodge of systems we see currently. Big Picture: We actually reviewed the Milwaukee Rapid Charge Station, so look there for a more in-depth take in this battery charger. The unit provides simultaneous charging of up to 3 batteries. You can change either an M12 or M18 battery in each of the three banks—at the same time. But, you can load up the Rapid Charge Station with six packs, and they’ll get them all done—three at a time. This is, in our opinion, the best battery charger on the market for handheld power tools. Highs: Charging three packs at once is a big deal if you need maximum productivity. Wall-mounting this charger is made simple by divots in the frame which help locate the keyholes. This is also a Rapid Charger, so it charges batteries up to 40% faster than a standard charger. At 80% charge, you also get a slow blinking green light that tells you can grab and go if you need to wrap up some work before the pack is topped off. Finally, Milwaukee added a pass-through plug to help you maximize your available outlets. Lows: While the handle is cool for floor-use, it’s a tad bulky when wall-mounted. A recessed collapsible handle would make this charger almost perfect. No USB charging. Big Picture: Makita has some of the fastest charge times in the industry. Part of that is due to the fact that they are one of several manufacturers who pull air through the battery during charging. This allows the charging process to begin sooner, and execute more quickly. Sealed battery packs don’t promote air flow and, in general, take longer to recharge. Makita is close to the best battery charger and certainly the best dual-charger on the market. Highs: The DC18RD charges two 18V XLT packs simultaneously. In addition, recharge times are really quick. The DC18RD can charge two 18V compact Lithium-ion 2.0Ah batteries in just 25 minutes and two 5.0Ah battery packs in 45 minutes. This charger also has a 1.5A USB port for charging a phone or tablet. Lows: Blinking green light with no battery inserted. No wall or keyhole mounts. Would love to see 2.1A USB output on a future model. Big Picture: This is a basic 12V charger for Makita, but it gets the job done. Highs: The DC10WD can charge a 1.5Ah 12V CXT battery in 50 minutes or a 4.0Ah battery pack in 130 minutes. Lows: Blinking green light with no battery inserted. No wall or keyhole mounts. No USB port for charging. Big Picture: DeWalt has almost as many chargers as it has battery voltages…almost. With that said, it was difficult to know which one to choose for best performance. This model can charge Flexvolt 54V (at 20V), 20V, 14.4V and 12V batteries. That makes it the Swiss Army knife of chargers for DeWalt customers. The DeWalt DCB132 can also charge two batteries simultaneously, so it’s one of the best available chargers for power users. Highs: The DCB132 will charge a 6.0Ah 20V Max or 2.0Ah FlexVolt (60V) battery in 90 minutes. Includes keyhole mount points. Lows: Average charging speed. No USB port. Oddly, doesn’t advertise that it will charge 12V Max packs. Big Picture: You can buy the DeWalt Portable Power Station with (DCB1800M3T1) or without batteries. This system not only recharges 4 batteries simultaneously, it can use those charged batteries to power your corded tools when you’re done. With its 3600W/30A of peak power output, we actually used it to operate a 120V MIG welder! It can put out 15A of continuous output, making it perfect for miter saws, circular saws, rotary hammers, and similar tools. Highs: Parallel charging of 20V Max or FlexVolt 60V battery packs. Obvious benefits of being a power station. Pass-through power. Excellent form factor with well-placed handles and protection for battery packs. Integrates with the DeWalt ToughSystem. Lows: Slow (2A) charging speed (per battery—but you do get 4 at once). No USB port. Big Picture: This dual sequential charger from Ridgid is much nicer to have than the basic chargers which come with their kits. It combines the dual chemistry charger technology (AC840093) with two slots for charging two batteries (one at a time). You can Rapid charge up to a 4.0Ah battery pack in less than 60 minutes. Highs: Ridgid included two handy non-grounded pass-through outlets on the front as well as twin 2.0A USB charging ports. Lows: Charging speed isn’t the fastest, and we know a lot of Pros who would appreciate an option for simultaneous charging two or more batteries. Big Picture: There is nothing special about this charger, and it’s currently the only model that can charge Ridgid 12V stem batteries. Highs: Recharges a 12V 2.0Ah battery in 30 minutes or less. Wall-mountable. Big Picture: The original RYOBI 6-port charger allowed sequential charging of six batteries. One problem with that model was that dust and debris could easily make its way into the openings. The new RYOBI 18V ONE+ 6-Port SuperCharger angles the batteries and adds new features like a 2A USB charging port. Highs: This charger can bring a RYOBI 2.oAh battery back to full charge in just 30 minutes. It can charge any ONE+ Ni-Cd or Li-ion battery pack. Like all RYOBI ONE+ tool, the P135 is fully backwards-compatible. Charging is sequential, so when one battery is fully charged, the next battery begins. It continues this way until all batteries are at 100% charge. Lows: Would love at least dual charging instead of sequential. Big Picture: This is a sequential 5A charger for Hilti 12V-36V battery packs. If you use it with 12V packs, Hilti says you’ll need the CA-B12 charging adapter. It will charge the batteries in the order they were inserted. Highs: Since this is a 5A charger, charging speed is actually very respectable. Hilti claims you can get one of their 5.2Ah battery packs up to 75% charge in just 20 minutes. We also love that you can use one multi-port charger to handle all of your Hilti lithium-ion batteries. Our 12V, 18V, and 36V Hilti tools are all taken care of on a single platform. Lows: There’s no keyhole or wall mount option for this charger. Green light stays on with no battery inserted. No USB charging. Big Picture: Metabo has perfected air cooling in its chargers and batteries. The ASC Ultra 14.4-36 V charger tackles anything from 14.4V to 36V battery packs. It also draws up to 6.5A, so it’s one of the more powerful quick chargers on the market. When it comes to recharging 36V packs, this additional current will come in handy. If it had two ports it would be a contender for best battery charger. Highs: This is a snappy 6.5A charger that can fill up a 4.0Ah pack in just 35 minutes. It can charge nearly all of Metabo’s slide pack batteries, from 14.4V to 36V. Air-cooled. Lows: No keyhole for wall mounting. No USB charging. We’d love to see a dual charger on this platform. Big Picture: Hitachi can, using the UC18YSL3 battery charger, top off one of its new 6.0Ah packs in just 38 minutes. It will do a 3.0Ah battery in just 20 minutes. This charger features air cooling to ensure quick and safe charging. You’ll need to pick up the Hitachi UC10SFLP charger if you want to recharge your 12V batteries. Lows: No keyhole mount. Blinking red light. Big Picture: The EGO CH5500 Rapid Charger took a 7.5Ah 56V battery to full in less than an hour. It will do a 2.0Ah battery in 25 minutes. That’s really quick. It easily mounts to a wall, and it features air cooling. This is likely how it can recharge even the highest capacity batteries quickly. Most EGO tools are sold as kits, so you can collect the standard chargers for smaller batteries. Then, the CH5500 can be dedicated to tackling your larger 5.0Ah and 7.5Ah packs. This may be the very best battery charger we’ve used for a single pack. Highs: Very quick charging. Did we mention that it’s fast? Lows: Would love to see a couple USB charging ports. Big Picture: Festool could use an update of their battery chargers, but the TCL 3 will get it done. It take about 70 minutes to recharge a 4.0Ah pack. The Festool TS 55 REQ plunge cut track saw runs on dual battery packs. Given that and their push into cordless, a faster dual-charger would be welcome. Festool has announced the new SCA 8 Airstream charger, but it has yet to come to market. When it does, it may cut charge times in half. Highs: Works with all slide-on Festool NiCD, NiMH and Li-ion batteries. Wall-mountable. Lows: Slow charging. No USB ports. Big Picture: Bosch is benefiting from the use of “hybrid” chargers. The BC3680 charger is nearly identical to the BC1880 charger, but it can handle both 18V and 36V packs. Charge time is not bad. It can charge a Bosch 36V 4.0Ah battery in just 45 minutes. Bosch has yet to introduce a multi-port charger. We hope that’s in the works. Of course, there’s also Bosch wireless charging (WC18C) which is great for benchtop tool users. For their 12V tools, you’ll need the BC330. We’re looking forward to the new Bosch Eneracer packs which should include all-new chargers as well. Highs: Fast charging. Works with 18V and 36V Bosch Li-ion batteries. Lows: Not wall-mountable. No USB ports. Obtuse LED light codes. Big Picture: Fein is well-known for its high performance grinders and oscillating multi-tools. The ALG 50 charger works for all Fein Lithium-ion batteries. While this is billed as a rapid charger, we found the charging speeds to be average. Fein has yet to develop or release a multi-port charger. Highs: Works with all Fein Li-ion batteries. Includes keyhole mounts. Big Picture: The new Kobalt 24V brushless tools have impressed us with their power and features. They seem committed, and the line has seen regular updates since its debut. The 110W charger is an upgrade from the standard charger sold with most of their kits. It will recharge a 2.0Ah battery pack in less than 30 minutes. Like many manufacturers, Kobalt has yet to release a multi-battery charger. Highs: Inexpensive fast charger. Relatively quick charging speeds. Wall-mountable. Big Picture: Porter-Cable’s PCC690L charger isn’t much quicker than the one included in their tool kits. It will recharge a 1.3Ah pack in around 40 minutes. It also lacks a keyhole mount for hanging it on a wall. As Porter-Cable expands its line perhaps we’ll see a rapid charger. Lows: No USB ports. Not wall-mountable. Slow charging. Big Picture: As with many things from Husqvarna, we’re at the mercy of Sweden to release some of their products in the U.S. market. Case in point is the 500W version of this charger, the QC500. For now, the 330W QC330 will have to do. This is a very intelligent charger that is equipped to not only recharge Husqvarna’s battery packs but also their backpacks. It will charge a 4.2Ah 36V BLi150 pack in around 50 minutes. If you have a BLi940 backpack—it will take up to 4 hours to top it off. Since this is an OPE solution, USB ports were not a consideration. Highs: Intelligent, fast charging that can handle anything from small packs to large backpack batteries. Lows: No USB ports. QC500 not yet available in the U.S.
We don’t expect you to jump ship at any point just because we identified the best battery charger. Hopefully, this article helps you now which charger is the best on your platform. Kits often come with only the most basic battery charger. Knowing how to increase your productivity with the best battery charger for your power tools could be the key to saving you time and money. We’re most excited to see a shift towards air-cooled systems. With the integration of newer battery cells (20700 cells in particular), cooling is going to be key. It will allow for greater use of the cells, higher torque and speed in power tools, and faster charging. You can also tell a charger will be faster by the current load. If it has less than a 4A draw, it’s not a rapid charger regardless of what it may say on the box. What charger(s) have you been most impressed with? Let us know in the comments below. Can u use a nother charger an jump it to your batt. Out now , (only-?) in Germany.. Thus Vids only in German, but u still get the idea. Hilti has also a charger with air cooling.